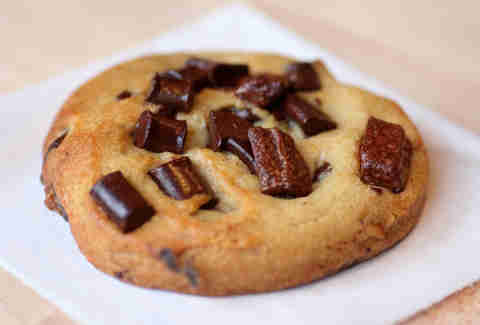 As Cookie Monster once said, "C is for Cookie". 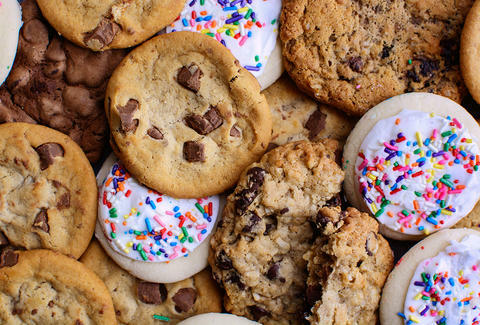 And as we once said, "H is for Here's a list of the 13 best damn cookies in all of Chicago, from a bacon-chocolate chip cookie in Wicker Park to a skillet cookie in Lincoln Park". Mindy Segal’s brilliant, meat-flecked creation is the stuff that Jim Gaffigan’s dreams are made of: chocolate chips, homemade cookie dough, chunks of salty, smoky Gunthorp Farms bacon, and the whole thing is cooked in bacon grease. 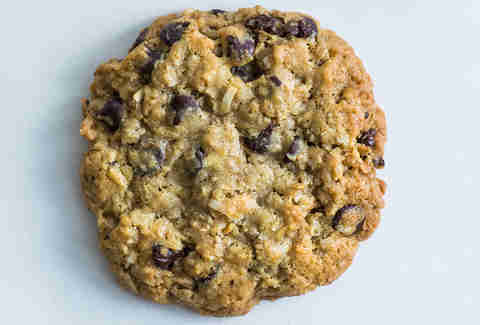 Every bite packs a subtle hit of fatty meat, while maintaining that just-like-Mom-used-to-make-‘em, classic choco chip cookie taste. 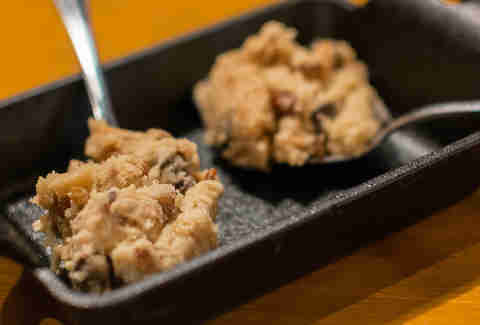 One of our favorite Taylor St BBQ joints sells its house-made, eggless (read: safe to devour) cookie dough by the spoon, and it's loaded with chocolate chips, pecans, and the same guilty satisfaction that comes with sticking your hand/leg into a tub of store-bought Toll House dough. What makes these Insomnia Cookies good isn't the fact that they have giant chunks of chocolate in them, it's the fact that they have giant chunks of chocolate in them that you can get any time before THREE IN THE MORNING. 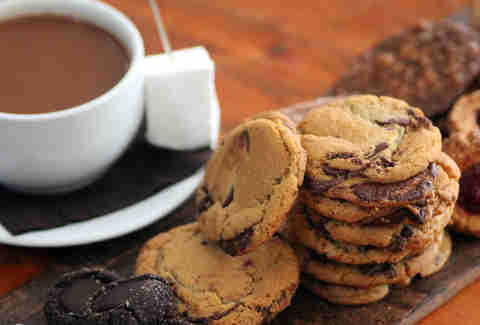 $12 will get you a box of a dozen triple chocolate chunk cookies. Did we mention they do late-night delivery, too? 'Cause they do. 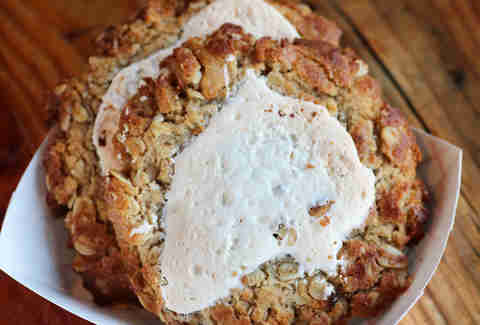 Not only does Sweet Mandy B's have a fantastic tea party aesthetic, but they've also got some of the best sweets in the city, including confetti cake rice krispie treats, snickerdoodle cupcakes, and size-of-your-head ranger cookies crammed with coconut, oats, and chocolate chips. 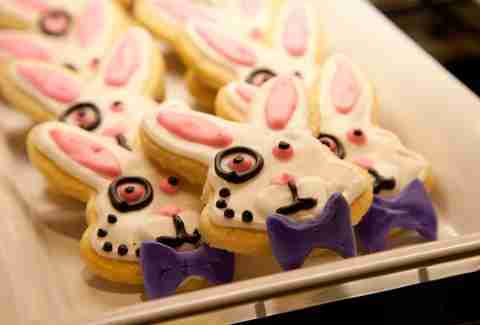 Located just a couple doors down from Sweet Mandy B’s on Webster, Floriole is a quaint bakery boasting a spectacular array of award-winning breads, pastries, and other delectables. 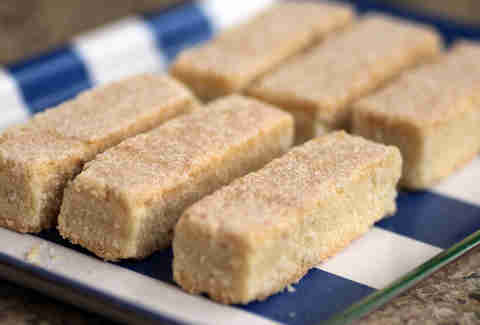 The cookie move, though, is the shortbreads -- they're sweet, buttery, and simple. Plus: if you buy enough, you can play Jenga with them. 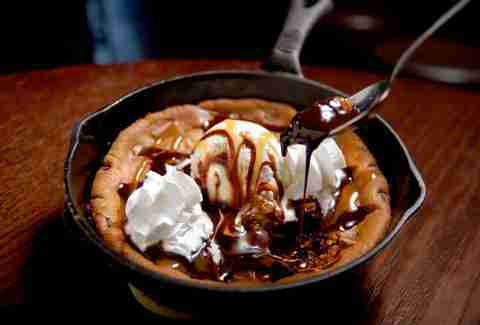 Crossing’s monster skillet cookie topped with ice cream, whipped cream, chocolate, and caramel sauce is the biggest one you're gonna find on this list. It's awesome for sharing and even awesomer for, um, not sharing. You can either dunk Lovely’s thick, chewy macaroons in a mug of coffee, or spread some Nutella on them... and then dunk them in a mug of coffee. Totally your call. Follow up a fried chicken feast with Leghorn's impossibly delicious PB oatmeal numbers, which're smothered in toasty, smoky, burnt sugar Fluff. They're a nostalgic twist on the Fluffernutter sammie -- complete with inevitably sticky fingers -- and are a welcome change from your garden variety chocolate chip cookie. 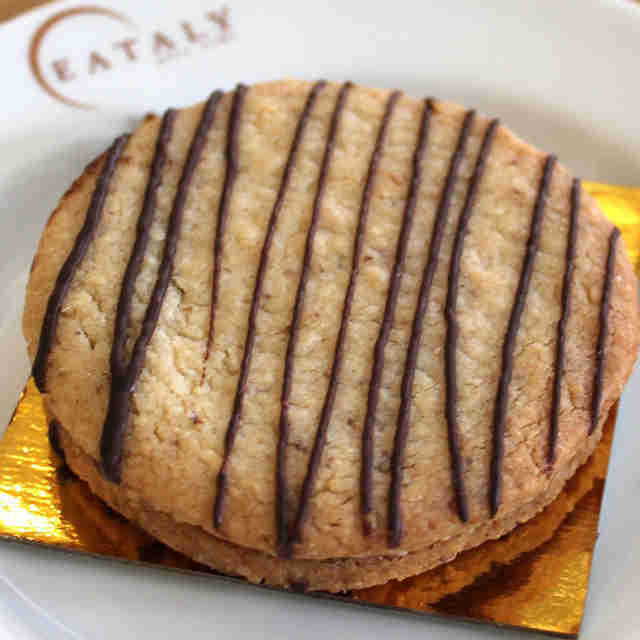 Mario Batali’s Italian food emporium houses one of the greatest man-made creations in River North: a Nutella bar where you can enjoy Nutella muffins, Nutella-filled crepes and croissants, BREAD SMOTHERED IN NUTELLA, and this hazelnut cookie sandwich held together with, yup, Nutella. When you're not stuffing your face full of Dinkel’s awesome donuts, you’ll find yourself stuffing your face with these buttery little numbers. 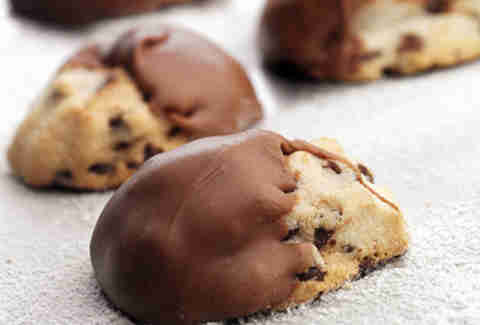 The shortbread-like cookies are studded with mini-chocolate chips, and dipped in your choice of dark or milk chocolate. Since they’re small, Dinkel’s only sells ‘em by the bag. Oh. Darn. 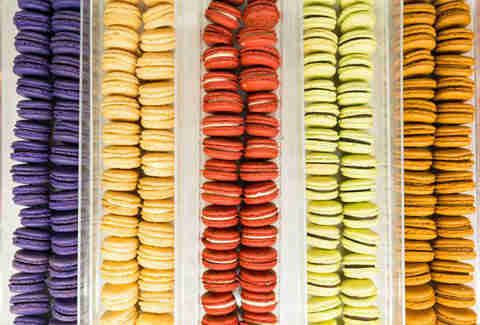 Vanille’s macaron selection changes around regularly, which makes pinpointing a specific cookie for this deliciously, deliciously challenging. Three sure-things, though, if they've got 'em: chocolate mint, red velvet, and PB & J. Pull up a seat beneath the faux tree decorated with leaves made of pages from Lewis Carroll’s Alice’s Adventures in Wonderland, and nosh on the expertly crafted iced sugar cookies; they’re firm and chewy, and the almost-too-pretty-to-eat royal icing amps the sugar content up to just the right level. 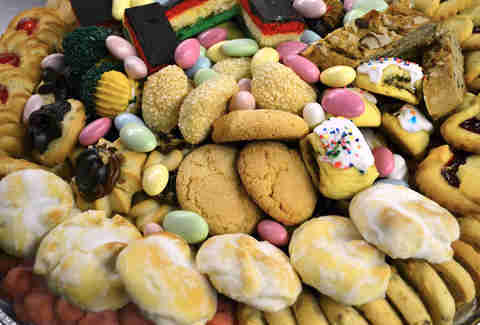 You can’t go wrong with any of the delicious Italian cookies at this bona fide Italian bakery, but the brown sugar chips take the cake (er, cookie?). 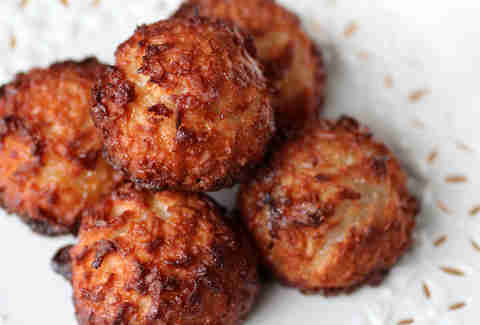 Thanks to extra butter in the dough, they flatten out in the oven, which means that you’re going to get crunchiness, chewiness, and sweet buttery flavor in every single bite.